Home Cat Care Cat Food Foods for Cats and Can Tuna Harm your Cat? A good and healthy diet plays a very important role. Like us humans, cats also need to follow a healthy diet. This is often ignored by most pet owners. It is natural for pet owners to spoil their pets be it cats or dogs with food. Everything in moderation is not harmful for cats, but one need not pamper them by feeding excess or more than required quantities. Some cat owners feed food meant for humans, while it is ok on some occasions, but all human foods are not suitable for cats. There are some foods that can harm the health of your cats and can prove deadly. One needs to remember that cats are carnivores and their eating habits are quite different from humans and dogs. Cats require a sizeable amount of fat and protein and this can be achieved by feeding foods rich in these nutrients. Feeding habits of cats and dogs are extremely different and this has to be understood first by every cat owner. You cannot feed the same food meant for dogs to cats as their nutritional requirements are very different. There are certain types of food that needs to be avoided for cats and as a cat owner one needs to identify these foods in order to prevent any health hazards. Excessive carbohydrates can cause diabetes in cats and you need to avoid these foods from your cat’s diet. Cats are carnivore’s animals and their eating habits are different from dogs. Cats by birth are strictly carnivores meaning their body needs large amounts of proteins that are derived from animal meat. They need very little plant based proteins derived from vegetables and grains. Their bodies are not designed to absorb and utilize plant based proteins due to the lack of certain enzymes. Kittens love dairy products like cheese and milk. It has been observed that as they become adults they tend to be lactose intolerant. Start by feeding small portions and see how its digestive system handles. You can even go for commercial milk meant for cats that are free of lactose and doesn’t harm the digestive system of cats. Cats love fish and provide them with the nutrients their body requires. Most commercial cat foods contain fish. Though there are certain varieties of fish you need to avoid like tuna, and salmon, but we will discuss that later. Cooked or scrambled eggs are a good source of protein for cats. They make an excellent nutritional food for cats. Check for any allergies before you start feeding your cat eggs, as eggs are known to cause allergies. Cooked poultry products are the safest food for cats. Meat should be given in moderation as too much of meat products can cause diarrhea and obesity in cats. Some foods for cats that need to be avoided are Tuna fish, dog food, Onions, garlic, cow’s milk, food rich in carbohydrates and yeast dough. Cats love milk, but most adult cats are lactose intolerant because of the lack of a certain enzyme lactase. Lack of this enzyme makes it difficult for their bodies to break down and even digest milk leading to diarrhea. Tuna fish is a favorite food among cats. One or two pieces in moderation will not harm your cat’s health. Tuna lacks the required nutrition and vitamins required for cat. Tuna lacks vitamin E and that can harm the health of your cat. Tuna is also rich in mercury. Mercury is known to cause allergic reactions in cats. 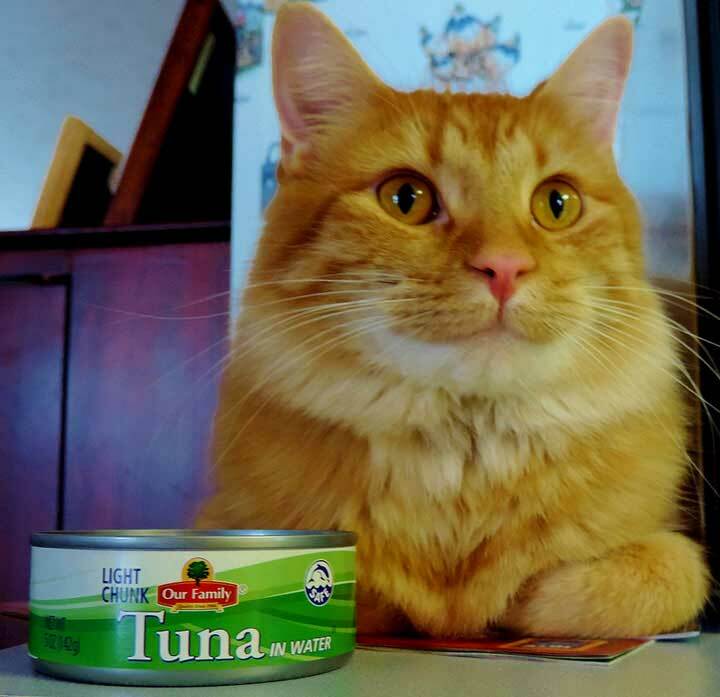 Cats love Tuna, steady diet of tuna leads to malnutrition in cats. Onions can cause severe anemia in cats and hence should be avoided. Fruits such as grapes and raisins can cause kidney failure, and hyperactivity in cats. Chocolates are lethal for cats though cats won’t eat them on their own. Some cat owners feed their cat chocolates as a treat. Chocolates contain caffeine, which is a stimulant. Eating them can cause seizures, tremors and even death. Gas produced by yeast causes severe pain and discomfort. Yeast has a tendency to produce alcohol when rising and alcohol can cause death or result in a coma. Cat’s nutritional requirements are quite different from a dog, which means food meant for dogs are not healthy for cats and can cause severe health damage. Each animal has their own nutritional requirements and one needs to understand that before designing an ideal diet. A food that is harmless for one animal can be life-threatening for other. It is ideal to go for foods specifically designed and fortified for cats keeping in mind their nutritional needs. Everything in moderation will not harm your cat.